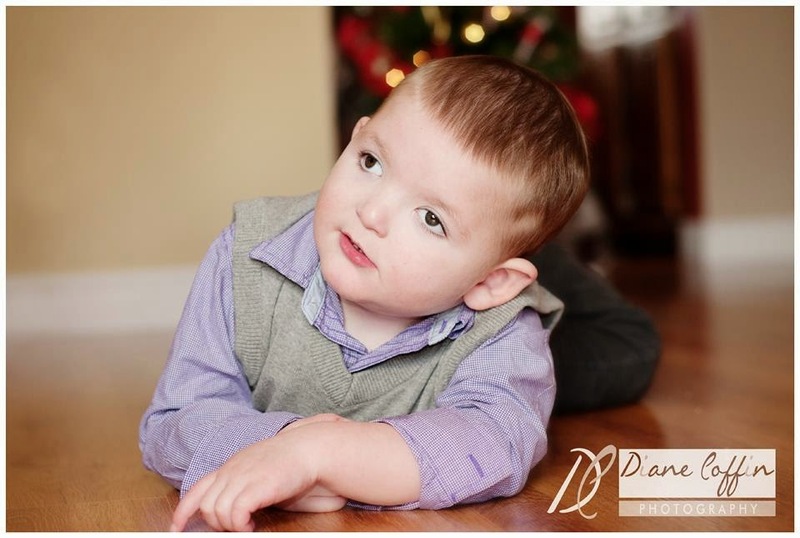 Meet Benjamin - a handsome, happy three year old boy with many symptoms but no diagnosis. His Mom tells his story. Our son, Benjamin was born full term in July of 2010, weighing a healthy 9 lbs and 1 oz. We were elated to have a boy to add to our growing family! I had my daughter by C-section two and a half years before, and I opted for a section again the second time around. When Benjamin was about two or three months of age, we noticed that he would favour his right side. He would always sleep that way, and he was starting to develop a flat head on one side. We were given a referral for Neurology to get fitted for a helmet to try and reshape his head. I had also been bringing him to physiotherapy because we thought he had a tight muscle in his neck. 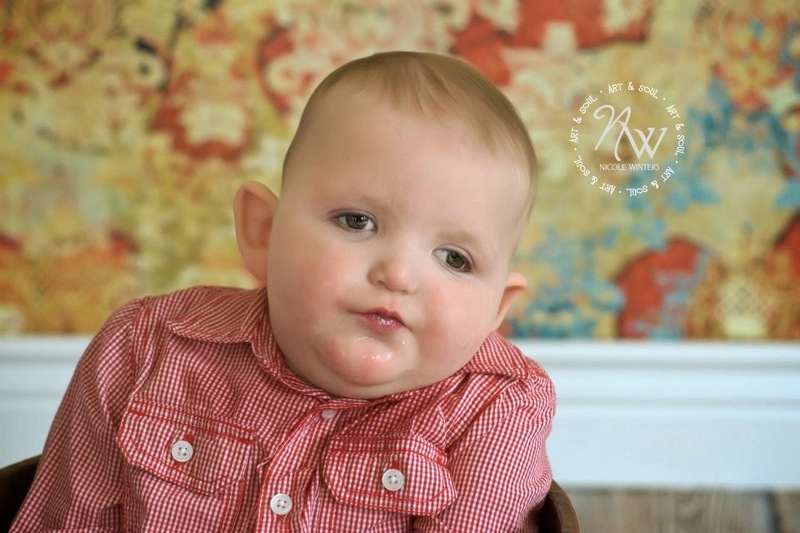 At five months old, he had yet to meet any of his milestones. We started to notice that he was sleeping a lot, and by a lot I mean most of the day. I knew that something was wrong, but I had no idea just how severe it was. December of 2010 was a blur. I had taken Benjamin to our family doctor multiple times for some concerns I'd had about his sleepiness and lack of interest in feeding. Also, there were times when his hands would go from cold blue to fire red hot in a short amount of time. We went to Emergency, where the doctor ordered a CT scan. I could tell from the look in his eyes that something was wrong but he didn't want to say anything for certain without the final test results. On December 22nd, Benjamin had his first 'episode'. He went limp and his head would bow forward. He did this multiple times repeatedly. I didn't know what it was, but I knew it was not normal infant behaviour. My husband and I rushed him back to the Janeway, where we were told that there was nothing that could be done that night, but to bring him back if it happened again. The next morning, Benjamin had another 'episode'. This time, I was going back with a purpose. Someone was going to tell me what was wrong with my baby. While we sat in Emergency waiting to see the triage nurse, I noticed a small baby in a car seat looking at her sister across the room. That was when I broke into tears. It hit me that Benjamin was five months old and could not do that. He did not look at his sister from across the room. He was not aware in that way. When I handed him to the triage nurse, I was a mess and she knew it. I will never forget her face. I'm sure she has seen many sick children and their families, but I will never forget her. She took us out back to a part of the hospital I hadn't seen before, where they called for a medicine consult. Benjamin was hooked up to stat monitors and his vitals were all good, though he had four more 'episodes' that day. 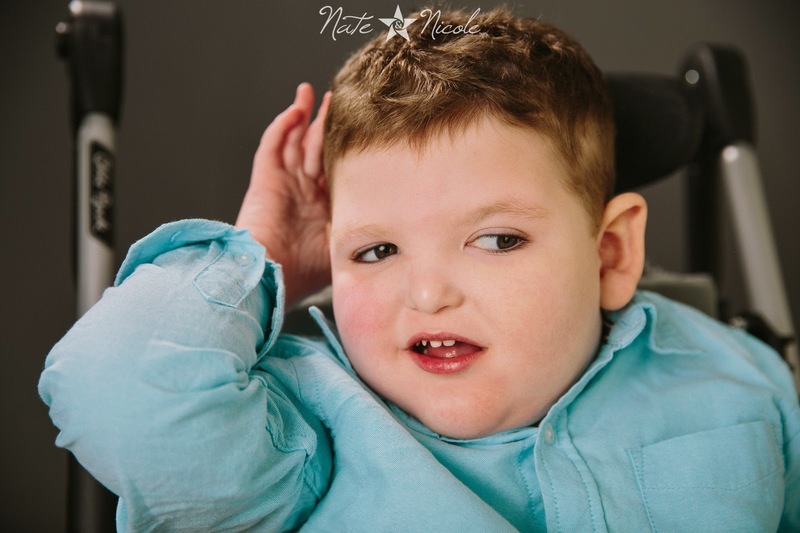 On Christmas Eve, Benjamin had his first EEG followed by an assessment with the Neurologist. I wasn't sure what to expect or how long it would take to get results. We sat across from two doctors and the nurse on charge that day. They proceeded to tell us that Benjamin was severely delayed and would "never be normal". They told us that the 'episodes' he was having were seizures, and that in addition to his delay, he has a rare type of Epilepsy called Infantile Spasms. I turned and buried my head into my husbands shoulder. I couldn't bring myself to look at these people or believe what they were telling us. All I could think was that my healthy baby boy, with a completely uneventful birth, would never grow up to have a family of his own. We have had numerous tests since that day to try and determine a true diagnosis for Benjamin. We have also been to Sick Kids in Toronto for a second opinion with no further results. 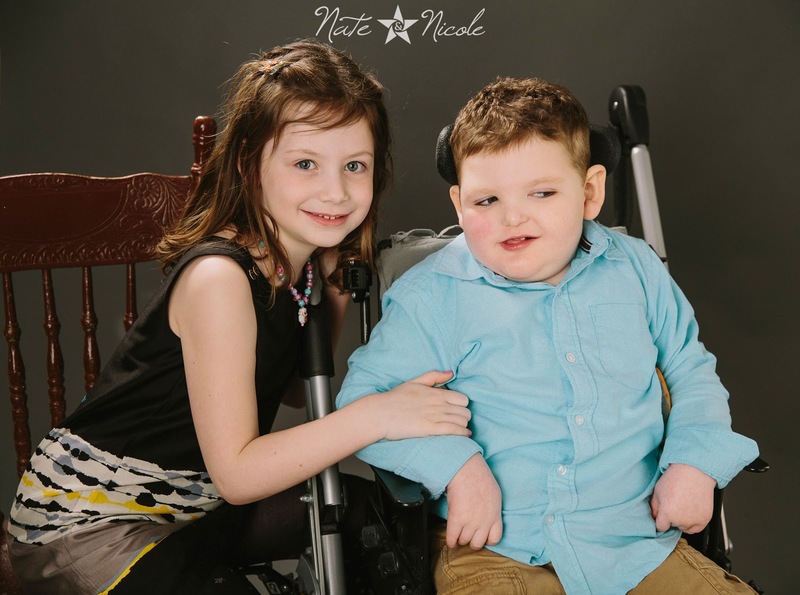 Benjamin has had two spinal taps, multiple MRI's, and muscle and skin biopsies, all without a conclusive diagnosis. His chromosomal analysis was normal. He has had numerous genes tested, which have all come back normal. We recently did a test of fifty potential genes for Infantile Spasms which came back inclusive. We truly aren't sure what is next on the list of tests. The best diagnosis we can get right now is "Global Delay". I call it the "we don't have a clue" diagnosis. 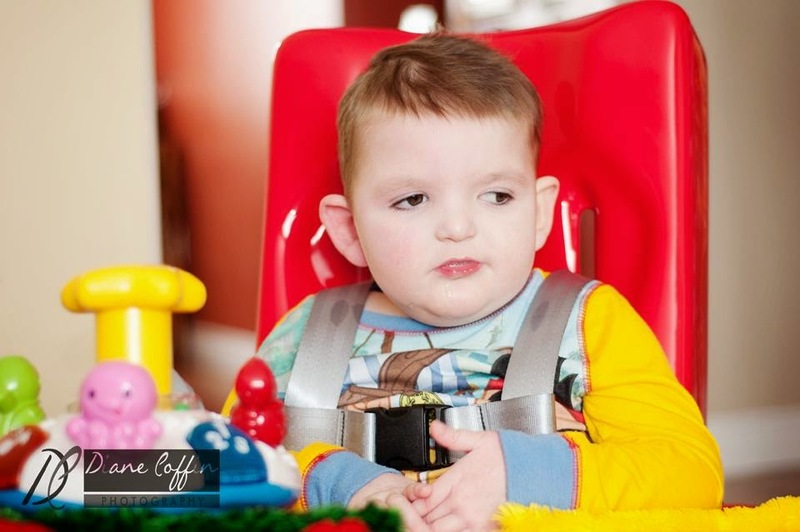 Benjamin has had two steroid treatments to try and stop his seizures. The seizures are ever-changing as well. He has myoclonic jerks and focal seizures, and sometimes they come in clusters. We have tried the Ketogenic Diet, but he ended up in Emergency with pneumonia and his sugars were super high, so he was taken off that right away. I can't count the number of seizure drugs we have tried, and at three and a half years old, he still has seizures multiple times every day even while being on seizure medications. Benjamin has also had numerous respiratory issues. In 2012, he underwent two different swallow tests and he aspirated on both. That Spring, we decided to go ahead and get his G-tube for feeding. Eating had become a chore. It was no longer enjoyable for him, and he wasn't thriving. I had been spending so much time sitting with him at the kitchen table and trying to get the proper nutrition into him. It was a long process. His G-tube has been a life saver. It really has increased his quality of life in the most positive way. 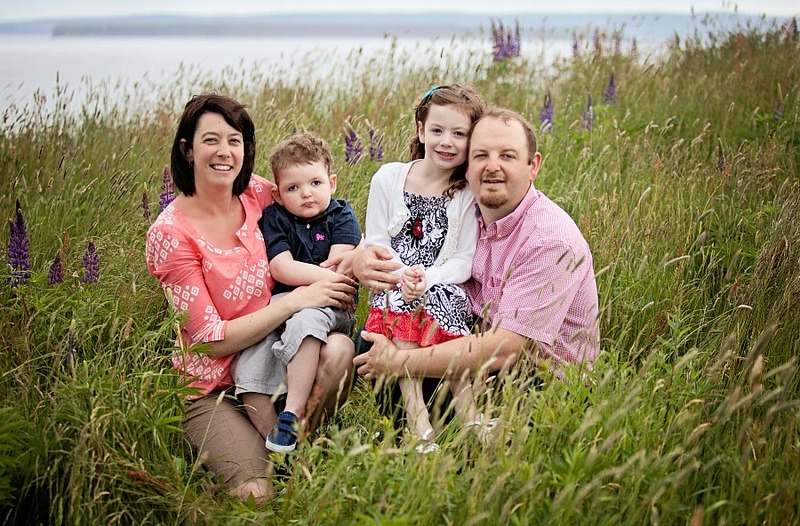 In December of 2012, Benjamin was placed on a respirator with another pneumonia infection. I was trying to get some sleep in the hospital when the Intensive Care doctor told me to call my husband. We didn't know how it was going to go for Benjamin. In a daze, my husband arrived at the PICU with our young daughter at 5:00am. We braced ourselves for the worst but Benjamin is a fighter. He spent three weeks in the PICU, but he made a full recovery. There have been many ups and downs on our journey. We have had some really dark days when it is hard to believe that there is a light at the end of the tunnel. Thankfully, there are also some really great days where people rally around us and inspire us to keep fighting. Sometimes it is anything but easy to raise a child like Benjamin, but one look into his beautiful eyes melts my heart. I see my son as a "normal" little boy now. I tend to forget what normal development is until I am around other children. His sister has had to grow up quite quickly because of our frequent trips to the Janeway, but she is amazing with Benjamin. She just sees him as her brother. Once, seeing a baby crawl, she said "Maybe we should teach Benjamin how to crawl", or she will ask why her friends at school think her brother is a baby. She is a wonderful big sister, very concerned and always looking out for him. 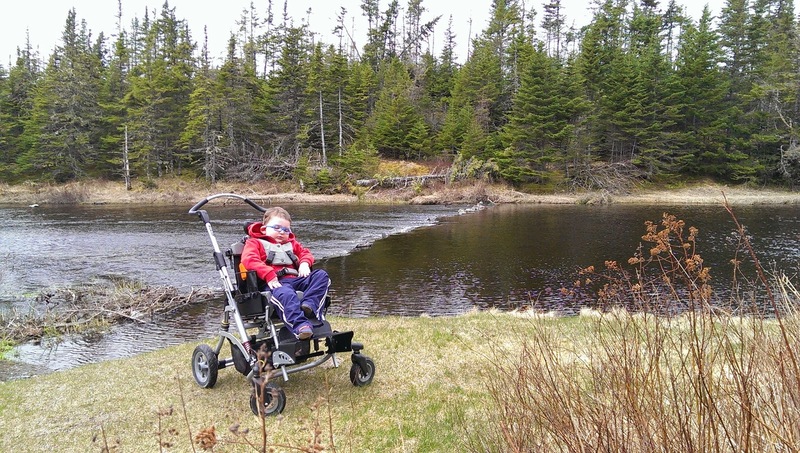 Benjamin is non-verbal and dependant on his wheelchair for mobility. We attend music therapy, which he enjoys thoroughly. I've seen such great strides in his development since being involved with music therapy. Even the littlest progress is the most amazing thing for a child with so many struggles. We have come to accept him for who he is and not what he will be. I keep saying, "He'll get there when he's ready!" Why me? Why us? Why him? How many times have I asked myself those questions. I believe that he came to me for a reason. He gives me strength that I didn't know I had. Never an athlete, I ran my first half-marathon for Benjamin in 2013. Benjamin is such a wonderful teacher on the lessons of life. We try to live our life as normally as possible, when we are anything but a normal family. In the words of his sister, "I think everyone needs a Benjamin!!" Diane, thank you for sharing Benjamin's story with us! I have to agree with his sister - I think that everyone needs a child like Benjamin in their life! I know that my own son, Brennen, has brought so much love into my family, and I can see that Benjamin has done the same for yours. It truly is a special gift that we have been given. Such special children that have taught us both so much about life and about what really is important. I love how you say that "Even the littlest progress is the most amazing thing for a child with so many struggles." I couldn't agree more! We have to celebrate every moment, every single teeny tiny achievement! I find it comforting to know that there are others who understand this. I am so glad to have connected with you! Much love to your family. If you would like to be featured on Tulip Tales, please email me at: juliebrocklehurst@hotmail.com Please include a brief description of your child and their condition, along with any pictures you would like to share. I will contact you with specific questions. Before you throw your next party, browse a wide selection of home bar supplies, drinking glasses and kitchen serveware. Search for a fun counter stool, clock, sectional and storage dresser to spice up your basement.